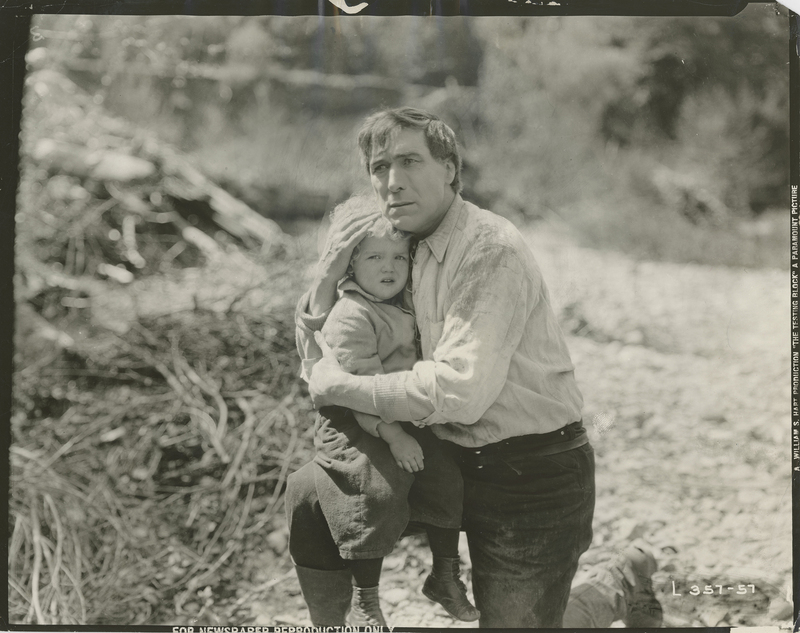 SCVHistory.com LW3133 | William S. Hart | 'The Testing Block,' Publicity Photo 1920. "The Testing Block" Paramount-Artcraft Pictures, released December 26, 1920. 8x10 glossy publicity photograph intended for newspaper use. Handwritten on the back of this print are the words, "Sunday, May 1 / New Lyceum." May 1 fell on a Sunday in 1921, so this print was probably used to advertise a showing on May 1, 1921, at the New Lyceum theater in San Francisco. LW3133: 9600 dpi jpeg from original photograph purchased 2017 by Leon Worden.